If you ever cross the state of California in the United States for a short visit or a grand vacation, a must in your itinerary will surely be a list of fun things to do in Los Angeles, the most populous city in the state and the second most populous in the US after New York. Worry not, listed below are the top 10 fun things to do in Los Angeles. There are a lot of other places in Los Angeles that are also worthy of your time, but the majority of the following entries are stuffs that you can do free of charge. Sounds good? One of the fun things to do in Los Angeles is to visit Walt Disney Concert Hall, a performing arts venue which offers free audio tours daily. Feel the beauty of nature in the public garden area where Orchid Trees to Pink Trumpet Trees, among others can be found. Add to these the enormous beautifully orchestrated lily-like fountain called “A Rose for Lily” which is relaxing to the eyes. To complete the ultimate floral experience are the Mildred E. Mathias Botanical Gardens, the Franklin D. Murphy Sculpture Garden and the Hannah Carter Japanese Garden, and the Exposition Park’s Rose Garden. If you have a propensity for anything Japanese, then Little Tokyo is for you. Experience authentic Japanese cuisine like sushi in Sushi-Gen and ramen like daikoku noodles in Daikokuya that will satisfy your appetite. 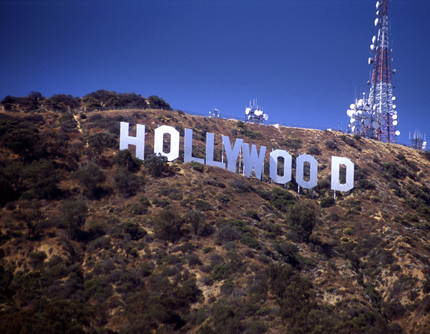 Not only that, those who wish to have some fun things to do in Los Angeles while reliving the past should visit historic sights and cultural attractions including a replica of a Japanese fire tower called Yagura Tower, and the Japanese American National Museum which features historical event including the World War II. Can’t get enough of Little Tokyo? Might as well visit Little Ethiopia, which will bring you a feel of the African nation’s culture. Participate in an Ethiopian coffee ritual where you can enjoy the rich, hot, fragrant of the brew served in small ceramic cups. Indulge yourself with the traditional Ethiopian cuisine of spicy meats and vegetarian dishes while listening to African pops blaring from store radios and while catching the distinct smell of paprika. Want to learn something new? Try the Pasadena Roving Archers, which offers free lessons every Saturday and learn the fundamentals of archery. Who said that learning is not one of the fun things to do in Los Angeles? Star gaze at Griffith observatory and learn about the heavenly bodies if astronomy is your cup of tea. Get your tickets in advance and be part of a live studio audience of the renowned game show ‘Wheel of Fortune’, a really fun thing to do in Los Angeles especially with the company of your friends or your family. Museum buff? Los Angeles has lots of them. Stroll through amazing galleries and gardens as you visit California African-American Museum, California Science Center, Los Angeles Maritime Museum, The Paley Center for Media, Travel Town Museum, Getty Villa and many more – all for free. And if you consider fossils viewing one of the fun things to do in Los Angeles, you should never miss the La Brea Tar Pits in Hancock Park where Ice Age fossils of nearly 400 species of animals can be seen by the naked eye, taking you back to the prehistoric times. 4. Sunbathing, Surfing and Picnicking: Relax and Enjoy! Of course, no one would probably disagree if we say that a worthwhile recreation is what we look forward to when on a vacation. Worry not, there are a lot of fun things to do in Los Angeles – all at their best. As Los Angeles is situated at the west coast of USA, relax while sunbathing at the beach during a hot summer or ride your board and surf against powerful crest of waves. Also, visit the largest city park in the country, the Griffith Park where you can go picnicking with the whole family. If you think that Los Angeles, being a highly advanced city, has got no wildlife at all, think again. Check out the Sepulveda Basin Wildlife Reserve, where waterfowls, ducks, herons and other animals live normal lives, and see the beauty of nature as groves of trees fill the whole scenery. Wait, before you indulge into a sumptuous dinner, witness first a magnificent sunset and ocean view at the Palisades Park, a romantic way to culminate the morning list of fun things to do in Los Angeles. Of course, fun things to do in Los Angeles will not be complete without a photo of the famous 450 feet long, 45 feet high Hollywood sign perched atop Mount Lee. Though its grounds are barred from public access, you can simply go near it to capture perfect photos for remembrances. And speaking of Hollywood, another must-see is the Hollywood Walk of Fame which showcases more than 2,300 terrazzo and brass stars of celebrity honorees on the most famous sidewalk in the world. Why the top 1? It’s nowhere in the world. And when you talk about Los Angeles, you spell it as Hollywood. There are a lot more fun things to do in Los Angeles; enjoy a worthwhile experience, free of unnecessary expenses. At the most, what more can you ask for when a great majority of fun things to do in Los Angeles are for free. As you experience these top 10 fun things to do in Los Angeles, you will realize one important thing in life that perhaps still proves true: that the best things in life are indeed for free.